Flexible dieting or “If It Fits Your Macros” (IIFYM) is a relatively new approach. If you are looking to get shredded and lose fat and want to gain muscles? We have the perfect solution for you. A macro calculator is a perfect way to rule the proper amount of nutrition and build the body of your dreams. Basically, IIFYM is an example of a Solomonic solution – You can eat whatever you want – if it fits your macros, you won’t have a problem. There is no need for set meal times, starving, low-carb principle or battle with hunger and cravings. There is no need to say goodbye to sweets, grease, or refined sugar anymore. A macronutrient is not all about protein, carbohydrates, and fat. Technically, it also includes macrominerals like zinc, phosphorus, calcium, iron, and magnesium. It literally means your body won’t lose important minerals, vitamins, and electrolytes with our revolutionary approach! Carbohydrates are the basic source of fuel for your muscles. You basically spend the energy from carbohydrates first, no matter which moves you do. And especially if the intensity of your activity is maximal or submaximal. Good fats are also a good source of energy for the activities that last longer but the intensity is moderate to low. They also help the immune system and hormonal control and improve the function of your nerve system. But there is one problem – if you eat too much fat, it will be stored in your body. 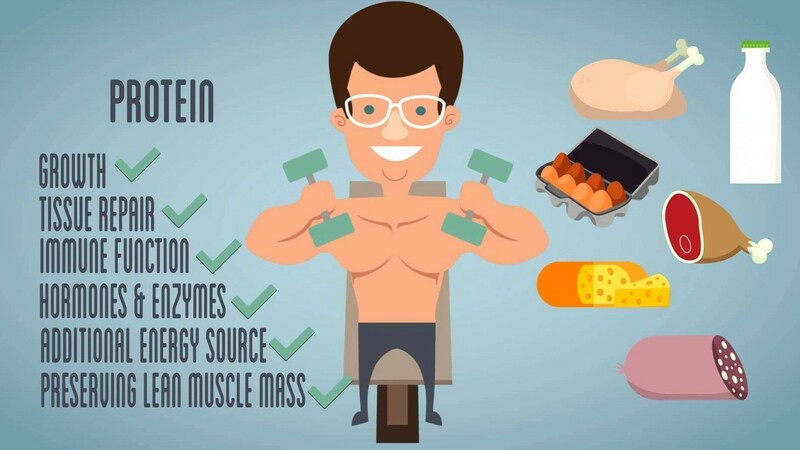 Protein is the most important macronutrient – it builds and recovers your muscles and increases the feeling of satiety. A high-protein diet is often used to reduce the level of body fat. Activity level – are you light, moderate, very, or extra active? Remember – caloric and macronutrient content of food determines whether we will be fat or good-looking. Weight loss means you expend more energy than you consume, and weight gain requires more consumption than expenditure. Maintenance means the equal consumption and expenditure. Activity level determines your daily needs. Someone who is very active should eat more than someone who lives a sedentary lifestyle if both want to maintain their weight. The most important thing when dieting is energy gained vs energy spent. The second one is calorie breakdown of proteins, fats, and carbohydrates. The third thing is the number of calories and macronutrients the specific food provides. The proper macronutrient percentages depend on the level of your carbohydrates, fats, and proteins. These levels vary, depending on your goals. When it comes to adults, the best carbohydrate ratio is 30-70%, protein ratio 10-35%, and fat ratio 20-35% of your total food intake but there are differences depending on your goals. There are two things you must know – basal metabolic rate (BMR), and total daily energy expenditure (TDEE). You should know exact values to be able to use macronutrient calculator more effectively and set up your macros. BMR is the amount of energy your body burns when you rest, and also the minimum amount of energy which keeps you alive. The macro calculator uses a formula to calculate this value. 1 x your weight (kg) x 24 hours for men, and 0.9 x your weight (kg) x 24 hours for women. TDEE is BMR plus all the energy you spend on various physical activities, including your training sessions. It is actually easy – all you need to do is multiply your BMR by the general activity level. It is not 100% accurate but gives you a good base to start. Your protein intake should be 1-1.2 grams per pound of bodyweight. Good fat intake is 0.2-0.25 grams per pound. The rest of your meal should be carbs. There might be some variations depending on your fat percentage and training level, so you might add more proteins or fats. Set your protein to 1 gram per pound of your bodyweight. Good fat intake is 0.3-0.4 grams per pound. Don’t overeat, overeating stores all the extra calories into your fat, it is counter-productive. When you want to achieve ketosis, the most recommended model is using 70-80% of energy from fats, 20-25% from proteins, and 5-10% from carbohydrates. Keto macro calculator is used to calculate the standard percentage of fat, proteins, and carbohydrates in a regular ketogenic diet. It also depends which kind of keto diet you choose. Cyclical keto diet switches the periods of low carb activity and high carb activity. It means you have periods of 50g carbohydrates per day, which are followed by periods of 600g carbohydrates per day. The high-protein keto diet means additional amounts of protein. For example, you can modify the protein or fat ratio plus or minus 10 but the amount of proteins remains the same. The next step is a caloric deficit. If you want to lose some weight, create a caloric deficit of 10 to 20%. Weight gain requires the recommended 10-20% caloric surplus. The most recommended food for keto-diet is meat, seafood, oils, eggs, dairy products, nuts and seeds, and low carb vegetables (everything but potatoes but we recommend you to stick green leafy vegetables). You can take small amounts of strawberries, avocados, blueberries, and raspberries. The Advantages Of Macro Calculator – Why IIFYM And Macronutrient Calculator Works? The main principles of IIFYM do not ban carbs or a specific food. It is good because your desire will grow when the food is prohibited. If the whole group of food is not allowed, it might lead to cravings, crisis, and a need to cheat. IIFYM allows you to cheat all the time as long as you control the intake of your macronutrients. All you need to follow strictly is the amount of food, you mustn’t overeat. But there are no food group prohibitions! You can get all the micronutrients, have enough energy, and your body can function properly. Maybe a slight shortcoming is a thing you cannot waste all your calories on sweets. You need to be warned about the desired level of fats, proteins, and carbohydrates to maximize your results. Micronutrients are good for the health of your body. Many vital functions are impossible without vitamins(A, B, C, D, E, K), minerals (copper, manganese, iodine, zinc, iron, and selenium), and fibers. Someone prefers fat over carbs, but in general, you must stick to your micronutrients. The healthiest food with the highest amount of micronutrients is kale, poultry meat, broccoli, almonds, potato, salmon, kidney beans, brown rice, eggs… Green leafy vegetables don’t contain many calories but it will load your body with significant micronutrients. The use of macro calculator supports flexible dieting. It means you can take all the groceries, but you can still lose weight. Macronutrient calculator for weight loss is the best way to calculate the values of the caloric deficit, which is required for a successful diet. You can also gain weight. Perfectly shaped macronutrient percentage is crucial for successful dieting, especially when it comes to a keto diet. You have to be aware how many carbohydrates, proteins, and fats are allowed at any time. Keto macro calculator follows the principle of low carb intake combined by the fat as a dominant and a protein as the second most important energy source. Write everything down on a piece of paper and start. And don’t give up after few days, the road to success is covered in obstacles. All you need is iron will, persistence, and a brutal consistency.